THE GREAT CONFERENCE OF 124 B.C. I like to compare this part of the Book of Mormon to our modern-day general conference of the church. Each time that I read this account I imagine what it would have been like to be there personally (I really do!). A TENT: SEE!. Genesis 26:25, is the key to understanding the connection here. It seems like a very simple and contextual verse, but in that scripture, relating to Isaac, you will find the words altar, tent, and well–there is great symbolism in those three words. Each word can symbolically represents an aspect of an individual’s life (anciently). Your “altar” represented your LORD. If your altar was made of unhewn stone, then people knew you worshiped Jehovah. If it were hewn, then people knew you worshiped a god of this world. Your “tent” represented your LIFE. You could tell all kinds of things about a person by simply looking at their tent. You can do the same when camping today. Your “well” represented your LIVELIHOOD. 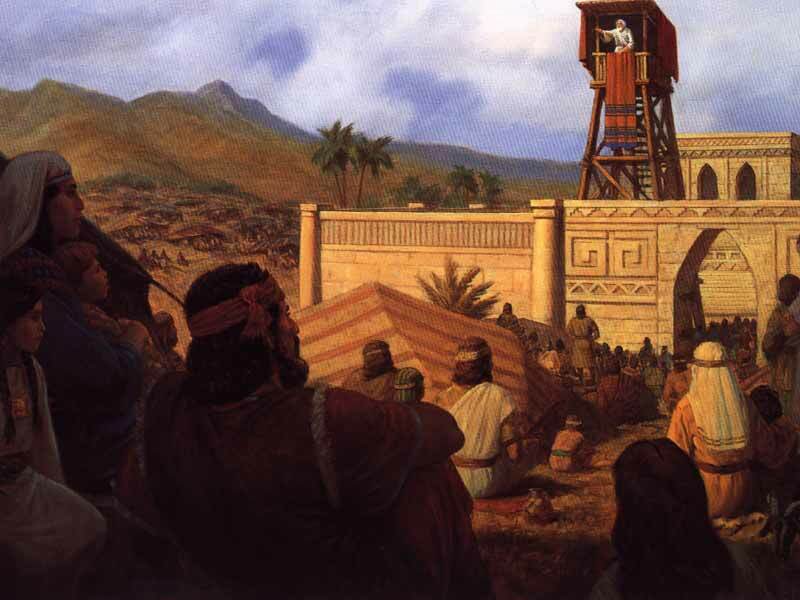 Isaac was a man of the flock and therefore was always in great need of a well (and notice where this scriptural event takes place–Beer-sheba, “well of an oath“. This may have been the same place which was called Beer-sheba a hundred years before this, in the time of Abraham; but as the well, from which it had its name originally, was closed up by the Philistines, the name of the place might have been abolished with the well; when, therefore, Isaac re-opened it, he restored the ancient name of the place. See Genesis 21 for the background to this significant well, and the verses in Genesis 26 that precede verse 25.). 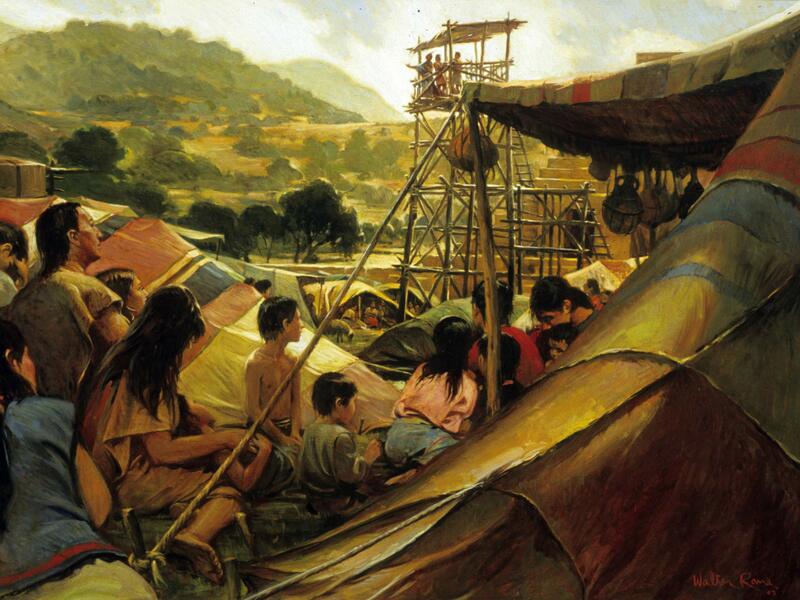 Now, if our tent represents our life, then we can see a likening to the account found in Mosiah 1-2. Where did the people pitch their tents, and in which direction did they face them? “And they pitched their tents round about the temple, every man having his tent with the door thereof towards the temple” (Mosiah 2:6). If your tent represents your life, the what does the temple represent? As per the previous explanation, the temple is where the Lord’s altar was located, so the temple represent the LORD. Thus, we would say that if your TENT is facing the TEMPLE, then your LIFE is facing the LORD! For those who are familiar with Salt Lake City, you know that the grid-system is the basis for addresses of businesses and homes. What you may not have realized is that each address is based on your position relative to the Salt Lake Temple. 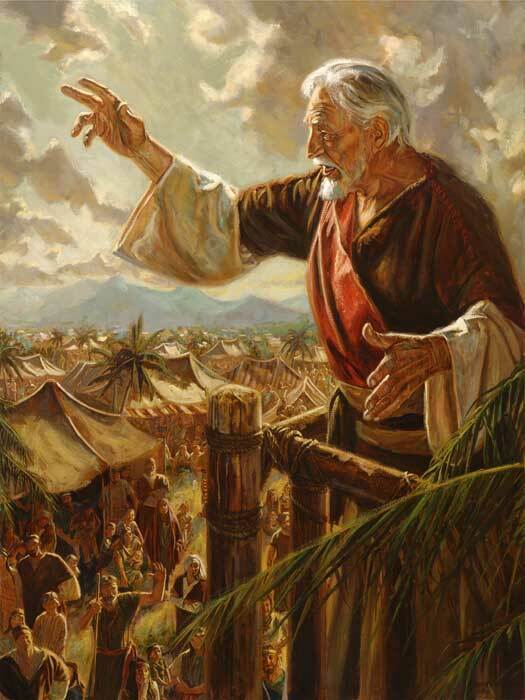 When you give someone your location/address in Salt Lake County, you are really telling people how far you are/live from the temple (this system was developed when the Prophet Joseph Smith revealed the Plat of Zion [click here for a diagram]). If I were to move to 13200 S. 2700 W., I would be 132 streets South and 27 streets West of the Salt Lake City Temple. Pretty easy to find the temple! Originally, sacrifice meant “to make something or someone holy” (What an awesome way to think about sacrifice!). It has now come to mean to give up or suffer the loss of worldly things for the Lord and His Kingdom (I prefer the original meaning…). Disciples of Christ should be willing to sacrifice (MAKE HOLY) all things for the Lord. Joseph Smith taught that “a religion that does not require the sacrifice of all things never has the power sufficient to produce the faith necessary unto life and salvation” (Lectures on Faith, 69). ON THIS DAY IN 1829: Palmyra, New York. Martin Harris’s wife, Lucy, filed a complaint against Joseph Smith, attempting to prove that he never had gold plates.